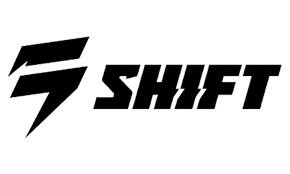 Shift is the brand for the bold and fearless, the armor for the purist. They are the fastest. They go the biggest. They have the most fun. They stay true to their ideals. They believe it matters how you make it, that style and authenticity define individualism. They race, and they ride. Alone, with friends, or with others like us. On the track, in the hills, and anywhere in between. Wherever and whenever Shift can, they enjoy the ride.